SARASOTA COUNTY – Sarasota County Parks and Recreation will host its 3rd Annual Youth Fall Fishing Tournament, Saturday, Sept. 20, at 8:30 a.m. at Manasota Beach in Englewood. The event is for children ages 14 and younger. Registration takes place from 8-8:30 a.m., with the tournament running from 8:30-10 a.m. Cost is $1 per child and parental supervision is required. 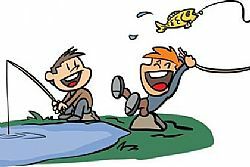 Competitors need to bring their own fishing rod and reel, but bait will be provided. Raffle prizes, refreshments and awards will follow tournament. Participants may pre-register by calling 941-861-5000 and asking for the Englewood Sports Complex. For more information, call the Sarasota County Contact Center at 941-861-5000 or visit www.scgov.net.